San Antonio FC has continued their incredible start to the season, winning all three matches on the Cascadia road trip rounding it out with a 4-0 win over Portland Timbers 2 at Providence Park on Friday night. San Antonio FC opened the scoring in the 20th minute after a massive defensive error passed the ball right to Kris Tyrpak. That allowed Tyrpak to send a ball for Billy Forbes making a run, he slowed up, but just to get the ball on his favored left foot, which allowed him to send it across the face, past the keeper, and in to the back of the net. Horrific defending gave San Antonio their second goal after some more strong work from Forbes who ran up the right wing. His strength allowed him to cut the ball across the face and a horrible clearance went right to Cesar Elizondo who made no mistake. San Antonio FC wrapped up the win in stoppage time through more poor defending, which allowed San Antonio to steal possession again. That allowed a strong run down the left before a beautiful ball fell to Zachary Herivaux. Moments later San Antonio FC had four after yet another horrible defensive lapse gave Elizondo the opportunity. The keeper rushed off his line, allowing Elizondo to get through and just pass the ball in to the back of the net after Stephen McCarthy’s long ball. Tyrpak thought he’d opened the scoring in the 14th minute as he was able to use a powerful run to get through and put the ball in the back of the net. But the assistant referee had the flag up, rightly calling it back for a foul as Tyrpak had his arms on the defender. Portland Timbers 2 very nearly opened opened their scoring in the 47th minute as they started the second half well. A corner was swung in and deflected off of Sebastian Ibeagha but was spared as it bounced off the post. San Antonio FC should have made it three on the resulting counter attack as Elizondo ran at goal, in acres of space. Wade Hamilton in the Portland goal was quick off his line getting down as Elizondo looked to open up space. Rafael Castillo deserved an assist for his work to set up Elizondo on the hour mark as he quickly came forward and stole possession. That allowed Castillo to send a through ball for Elizondo and with the goal at his mercy he sent it just wide. The woodwork saved San Antonio FC again in the 85th minute as a cross came in to the middle of the box. Augustine Williams got on the end of Villyan Bijev’s cross, heading it at goal, leaving Diego Restrepo stranded but his shot bounced off the far post, allowing San Antonio FC to clear. Match Details: Portland Timbers 2 v San Antonio FC, April 28 2017, 7:30pm, Providence Park, Portland, OR. Already two weeks in to the National Women’s Soccer League (NWSL) season Houston Dash has revealed their alternate kit for the 2017 season. Reportedly the move comes after Nike has removed the chevron style that was popular last season from their catalog, forcing Dash to choose a different design. It must have been a late decision from the Dash or Nike as the kit they have chosen is certainly a generic kit from the catalog, fairly unusual for a top flight professional club. 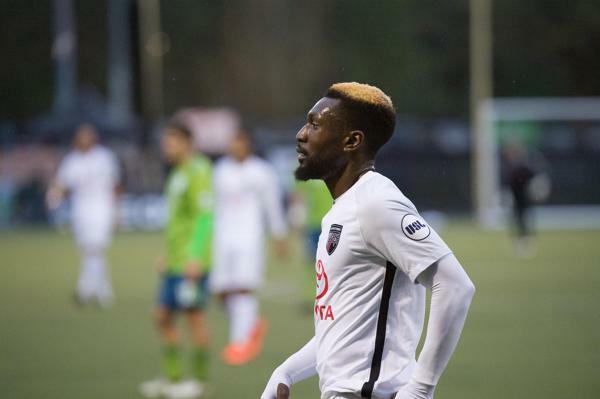 San Antonio FC has continued their phenomenal start to the 2017 USL season and extended their lead on top of the western conference standings to four points as they managed a 3-2 win over Seattle Sounders 2 at Starfire Stadium on Tuesday night. Match Details: Seattle Sounders 2 v San Antonio FC, April 25 2017, 7:30pm Starfire Stadium, Tukwila, WA. Houston Dynamo has kept their first clean sheet of the 2017 season as they managed a 2-0 win over San Jose Earthquakes at BBVA Compass Stadium on Saturday night. It took just nine minutes for Houston Dynamo to open the scoring as Alex made a run in to the box and was then brought down for a penalty. That allowed Erick Torres to step up and send his penalty right down the middle as David Bingham moved out of the way, allowing Torres to extend his lead at the top of the MLS golden boot standings. San Antonio FC remain undefeated and on top of the USL Western Conference standings following a 2-1 win over Vancouver Whitecaps 2 at Thunderbird Stadium on Saturday afternoon. Aly Al Hasssan scored his first league goal for the club while Billy Forbes continued his stellar start to the season with the other goal to give San Antonio FC the win. The result puts San Antonio one point clear at the top of the western conference where they have set themselves up as the team to beat. The visitors opened the scoring in the 22nd minute, the goal coming from the very back as goalkeeper Matt Cardone found Forbes. That allowed the Turks and Caicos International space to send the ball square to Hassan who easily sent it past the keeper first time. San Antonio FC was a little unlucky to concede the equalizer as it came from a deflection off the post. That rebound fell back to Marcos Bustos who controlled well before dispatching the shot in to the back of the net to make it 1-1 at half-time. It didn’t take long for San Antonio to restore their lead as just one minute in to the half they found themselves back in front. A defensive error from the Whitecaps reserves allowed Forbes to capitalize as he was able to get on the end of the ball and hit a lobbed header past the keeper to make it 2-1. There was some bad news for San Antonio FC in the 56th minute as they had to replace Cardone as he suffered an injury. That gave a debut to Diego Restrepo who acquitted himself well, keeping Vancouver out in the 2-1 win, a perfect start to what will be a difficult road stretch. San Antonio FC has added a loan player to their squad as they announced on Friday that they had secured Zachary Herivaux on loan from Major League Soccer (MLS) club New England Revolution. Herivaux will be on loan for San Antonio for the season from New England where he has been playing for the past two seasons. At just 21 Herivaux is looking to get match experience at the professional level to help his career at New England, and potentially outside of his current MLS club. Match Details: Vancouver Whitecaps 2 v San Antonio FC, April 22 2017, 3:00PM UBC Thunderbird Stadium, BC, Canada. The Whitecaps seem to have found their shape, lining up in a 3-1-4-2 to get both of their wins, and are certainly the strongest side in the Cascadia region, at least in USL. The Whitecaps survived a lot of pressure against Portland last week, with Sean Melvin having a phenomenal performance in goal. A late goal ended up giving them a 1-0 win over the Timbers, a win that came on the back of their defenders. It would be easy to say they didn’t deserve it, but their defensive performance was strong enough to back up that they did deserve the win. Statistical Note: This will be the first ever match San Antonio FC plays outside of the United States, having only played Vancouver at home. 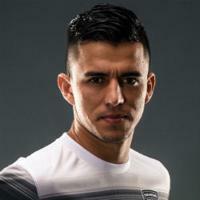 Congratulations are due to Rafael Castillo who, with his penalty against Reno last weekend, is now the leading goal scorer in San Antonio pro soccer history. Both teams won their matches last week with less possession than their opponent, which makes the key to the match easy to spot, patience. San Antonio will have to be patient as Vancouver proved themselves a strong defensive team and they’ll be hard to break down but San Antonio have proved that they can score plenty of goals if they just wait for the right opportunity and they need to do that again this week.